[V Report Plus] If Twice members were puppies, what kind would they be? 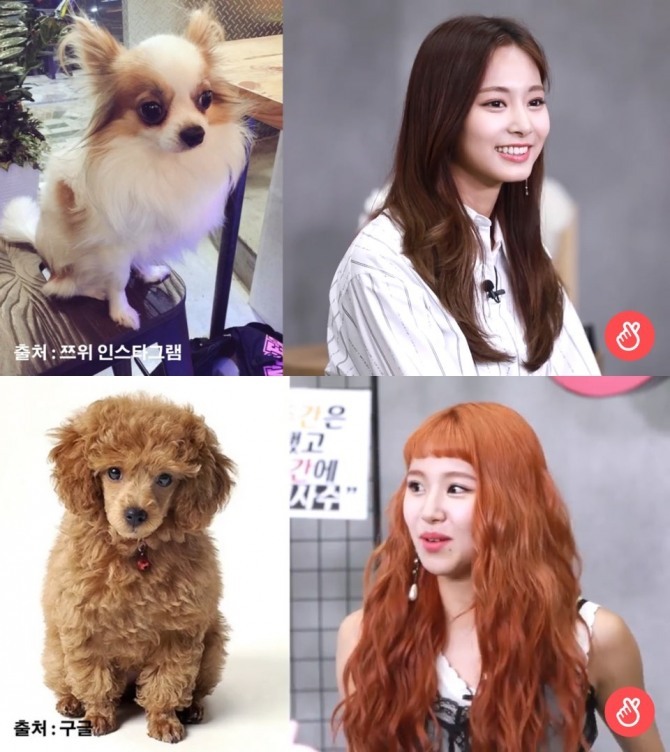 Chaeyoung and Tzuyu, the two youngest members of Twice, sat down for an interview with Celev.Tv Wednesday and compared each other to pet dogs. “If you would imagine one another as a puppy, what kind would you be?” asked the interviewer. “I think Chaeyoung would be a poodle,” Tzuyu replied, after studying Chaeyoung’s face for a while. The tri-national girl group Twice debuted in 2015 through the audition reality show “Sixteen,” co-produced by JYP Entertainment and CJ E&M. Its debut extended play “The Story Begins” fronted by “Like Ooh-Aah” became an instant hit, recording a whopping 242 million YouTube views as of Wednesday.